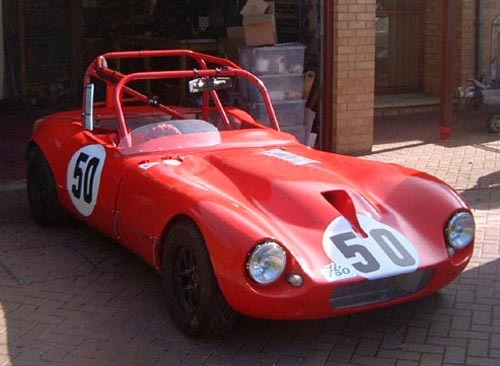 This site is all about building and racing various kit cars. We started with a Westfield back in 1999, you can see the details here. After that I couldn’t stop myself and we progressed in double quick time to a Dax Rush which is again documented here in lurid, one might even say obsessive, detail. 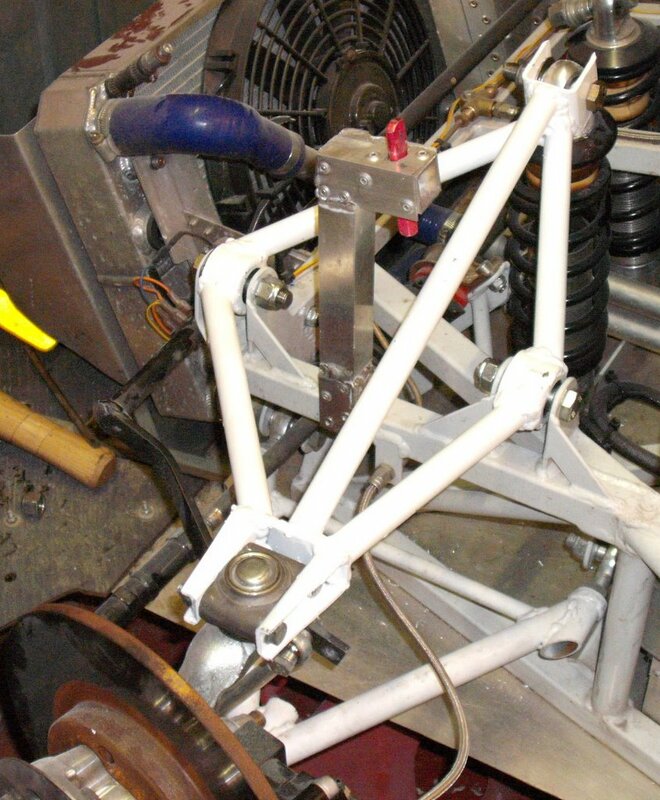 At about that time, and if I’m honest because the Dax had never really measured up to the Westfield, we decided to go racing and started building a Fisher Fury to race in the 750 Motor Club‘s RGB race series. That’s been going on for a good while at the time of writing. However, I’ve recently got the car building bug again (it appears to be a serious infection) and I’ve started building a Sylva Spectre, again to compete in RGB. To be honest, I just fell in love with the look of it… I’m out on a bit of a limb this time as no-one knows if the Spectre will race well. However, I shall do what I can. If nothing else I’ll get frustrated and fascinated along the way. I used to write this site using hand-crafted HTML and you can see all of this stuff here but I’m now using WordPress, mainly because I’m lazy but also because it makes some things better, such as including an easy search box. Feel free to add comments to these pages. I’ll see them, mainly because I’ve set up the site so I have to moderate everything so that I can filter out the less desirable comments. Is this a standard part for the J15 or are these a custom fabrication please? I’m looking to build a car from scratch next and the J15 is quite close to what I have in mind. I wondered what your thoughts on it were and what you would improve? They’re a custom fabrication. Essentially I was getting the ride height where I wanted it. As for the J15, the main thing I’d improve is to change the weight distribution. Although that might be less of an issue for a car engined car. I never managed to get the weight back far enough in my J15 and ended up messing up the front end, by making the front ARB stupid stiff to get the car balanced. Of course, that meant the ultimate grip wasn’t good enough. As such, the thing I’d change is to extend the wheelbase by 100 to 150 mm, just by moving the rear wheels backwards. I have an old British racing green Westfield that used to belong to a guy called martin brooks. Did a few rgb races with it years ago, last one at pembrey in 2006, after which family and work commitments took over. My young son has been asking about when it raced and I seem to remember you had some onboard footage of us sparring that weekend. I was wondering if you still had it, and if I could get a copy or if you could post it on YouTube? You still have it Andrew!! That’s amazing! My first race car!! Last time I saw it was Pembrey 2003 when I had the gulf Phoenix. Hi, good to hear from you. I think this, http://youtu.be/uKGndqL2qTc, might be the video you’re looking for. Shout if not. Hi Tim, Only just found your responses and video !! Its made my night! Still got it Martin! It’s been gathering dust in the corner of the garage for the best part of 7 years while iv been consentrating on family and work. Fired it up and went for a full on blast through the Forest of Dean of dean a few years back with a friend (ex fighter pilot) who had bought a dax rush v8(he couldn’t catch it!) we upset a few people that night! Pulled it out last weekend and am going to go through it and plan to get it tested and use it a bit on the road this year. Would love to race again but fear it wouldn’t be competitive anymore.